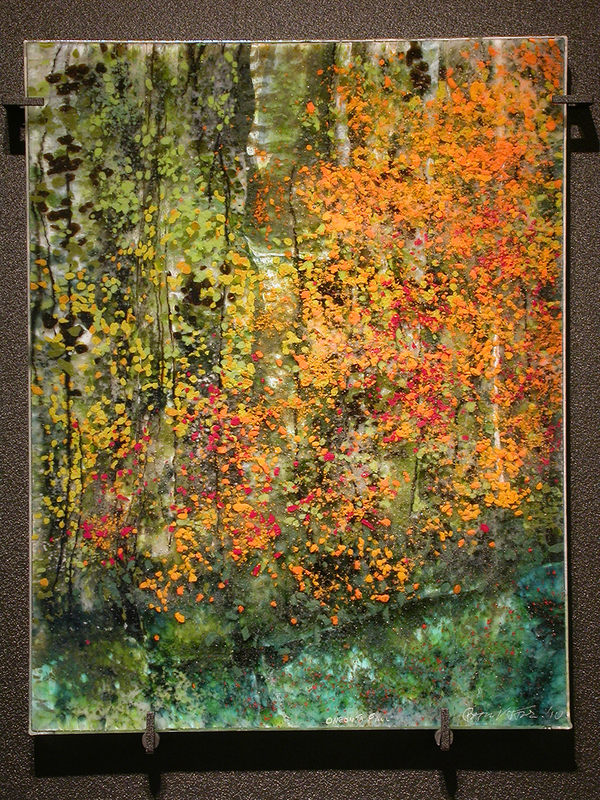 Glass panel, 23 by 18 inches. 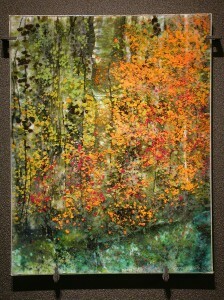 Frame, 29 by 24 inches. Oneonta is a tiny gorge running perpendicular to the mighty Columbia river between Washington and Oregon, where one can just barely see the waterfall half a mile in, and easily imagine leprechauns or fairies scampering amidst the mossy rocks.